Pakistan's Independence Day celebrations this year coincide with a momentous change in leadership. It has been brought about by the triumph of the insurgent Pakistan Tehreek e Insaf (PTI) over Pakistan Muslim League Nawaz (PMLN) and Pakistan Peoples Party (PPP), both regarded as dynastic political parties. PMLN and PPP are each controlled by a family. Pakistan's Prime Minister Elect Imran Khan is part of a generation that he says "grew up at a time when colonial hang up was at its peak." How will the acknowledgement of this upbringing affect Imran Khan's leadership of "Naya Pakistan"? Let's examine the answers to this question. "My generation grew up at a time when colonial hang up was at its peak. Our older generation had been slaves and had a huge inferiority complex of the British. The school I went to was similar to all elite schools in Pakistan. Despite gaining independent, they were, and still are, producing replicas of public schoolboys rather than Pakistanis. Because of the power of the Western media, our heroes were Western movie stars or pop stars. When I went to Oxford already burdened with this hang up, things didn’t get any easier. At Oxford, not just Islam, but all religions were considered anachronism." It is refreshing to see Imran Khan's acknowledgement that Pakistan's elite schools are "producing replicas of public schoolboys rather than Pakistanis". Pakistan achieved independence from the British colonial rule 70 years ago. However, the minds of most of Pakistan's elites remain colonized to this day. This seems to be particularly true of the nation's western-educated "liberals" who dominate much of the intellectual discourse in the country. They continue to look at their fellow countrymen through the eyes of the Orientalists who served as tools for western colonization of Asia, Middle East and Africa. The work of these "native" Orientalists available in their books, op ed columns and other publications reflects their utter contempt for Pakistan and Pakistanis. Their colonized minds uncritically accept all things western. They often seem to think that the Pakistanis can do nothing right while the West can do no wrong. Far from being constructive, these colonized minds promote lack of confidence in the ability of their fellow "natives" to solve their own problems and contribute to hopelessness. The way out of it is to encourage more inquiry based learning and critical thinking. Dr. Edward Said (1935-2003), Palestine-born Columbia University professor and the author of "Orientalism", described it as the ethnocentric study of non-Europeans by Europeans. Dr. Said wrote that the Orientalists see the people of Asia, Africa and the Middle East as “gullible” and “devoid of energy and initiative.” European colonization led to the decline and destruction of the prosperity of every nation they ruled. India is a prime example of it. India was the world's largest economy producing over a quarter of the world's GDP when the British arrived. At the end of the British Raj, India's contribution was reduced to less than 2% of the world GDP. In his "Prison Notebooks", Antonio Gramsci, an Italian Marxist theorist and politician, says that a class can exercise its power not merely by the use of force but by an institutionalized system of moral and intellectual leadership that promotes certain ideas and beliefs favorable to it. For Gramsci "cultural hegemony" is maintained through the consent of the dominated class which assures the intellectual and material supremacy of the dominant class. In "Masks of Conquest", author Gauri Viswanathan says that the British curriculum was introduced in India to "mask" the economic exploitation of the colonized. Its main purpose was to colonize the minds of the natives to sustain colonial rule. The colonial discourse of the superiority of English language and western education continues with a system of elite schools that uses Cambridge curriculum in Pakistan. Over 270,000 Pakistani students from elite schools participated in Cambridge O-level and A-level International (CIE) exams in 2016, an increase of seven per cent over the prior year. Cambridge IGCSE exams is also growing in popularity in Pakistan, with enrollment increasing by 16% from 10,364 in 2014-15 to 12,019 in 2015-16. Globally there has been 10% growth in entries across all Cambridge qualifications in 2016, including 11% growth in entries for Cambridge International A Levels and 8 per cent for Cambridge IGCSE, according to Express Tribune newspaper. The United Kingdom remains the top source of international education for Pakistanis. 46,640 students, the largest number of Pakistani students receiving international education anywhere, are doing so at Pakistani universities in joint degree programs established with British universities, according to UK Council for International Student Affairs. At the higher education level, the number of students enrolled in British-Pakistani joint degree programs in Pakistan (46,640) makes it the fourth largest effort behind Malaysia (78,850), China (64,560) and Singapore (49,970). Pakistani educators need to see the western colonial influences and their detrimental effects on the minds of youngsters. They need to improve learning by helping students learn to think for themselves critically. Such reforms will require students to ask more questions and to find answers for themselves through their own research rather than taking the words of their textbook authors and teachers as the ultimate truth. It is refreshing to see Imran Khan's acknowledgement that Pakistan's elite schools are "producing replicas of public schoolboys rather than Pakistanis". The minds of most of Pakistan's elite remain colonized 70 years after the British rule of Pakistan ended in 1947. They uncritically accept all things western. A quick scan of Pakistan's English media shows the disdain the nation's western educated elites have for their fellow countryman. Far from being constructive, they promote lack of confidence in their fellow "natives" ability to solve their own problems and contribute to hopelessness. Their colonized minds uncritically accept all things western. They often seem to think that the Pakistanis can do nothing right while the West can do no wrong. Unless these colonized minds are freed, it will be difficult for the people of Pakistan to believe in themselves, have the confidence in their capabilities and develop the national pride to lay the foundation of a bright future. The best way to help free these colonized minds is through curriculum reform that helps build real critical thinking. How Can Pakistan Avoid Recurring BoP Crises? Launch of "Eating Grass: Pakistan's Nuclear Program"
Munnaza is doubtful that democratic institutions alone were responsible for the corruption crackdown and suspects election interference. Niloufer Siddiqui GRD ‘17 is an assistant professor of political science at the State University of New York-Albany and a researcher in political violence in Pakistan. Siddiqui said, “People will ask whether or not elections are free and fair in Pakistan. Polling day rigging is very unlikely. Nobody is changing people’s votes at the booth.” But “pre-poll rigging” is an issue. Khan and his supporters have celebrated Sharif’s ousting and arrest as an indication of the start of a new era in Pakistani politics where powerful people will be held accountable. The consensus among sources who spoke to The Politic is that Sharif lost favor with the military establishment by taking control over foreign policy. In 2013, he told an audience at the US Institute of Peace that trying to improve Pakistan’s relationship with India was one of his “favorite subjects.” In December 2015, Indian Prime Minister Modi visited Sharif’s private residence in Raiwind. This was the first time an Indian premier had visited Pakistan in more than a decade. It is less clear, however, why the military chose to support Khan. His campaign centered around radically transforming most every aspect of governance–including Pakistan’s international relations. 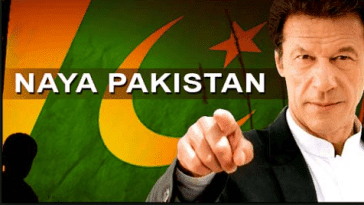 In December 2018, Prime Minister Khan told The Washington Post that Pakistan would not be the United States’ “hired gun” anymore. Military intervention took on a few different forms, including restricting freedom of the press. For years, there has been pressure for Pakistani journalists to self-censor to please the military establishment. During the 2018 campaign, Humayun says Khan received more TV time and more coverage by major national newspapers like Dawn News. In June 2018, Gul Bukhari, a columnist for The Nation and a prominent critic of the military, was abducted and held for four hours in a military cantonment in Lahore. She credits the public outcry on social media for her relatively prompt release. Some also allege that the military called on popular politicians—or “electables”—from other parties to run under the PTI ticket. Lobbying for electables is a common strategic move in Pakistan to win in constituencies where voters show more loyalty to an individual than a party. During the general elections, 46 electable candidates ran under the PTI ticket and 23 of them won their seats; most of the winners represent areas within the PMLN stronghold of Punjab. Khan said candidates joined the PTI because the other parties had failed to deliver. It’s important to remember that Khan enjoyed a great deal of popular support from people like Munnaza’s children, who were inspired by his message of reform and progress. Now, as Prime Minister, Khan has to turn Pakistan into an “Islamic welfare state,” as he said he would, while dealing with the country’s perilous economic crisis. The crisis is driven by a national account deficit in the billions, making it virtually impossible for Khan to run the government without foreign loans from sources like Saudi Arabia and China. He has yet to reach a bailout deal with the International Monetary Fund (IMF).